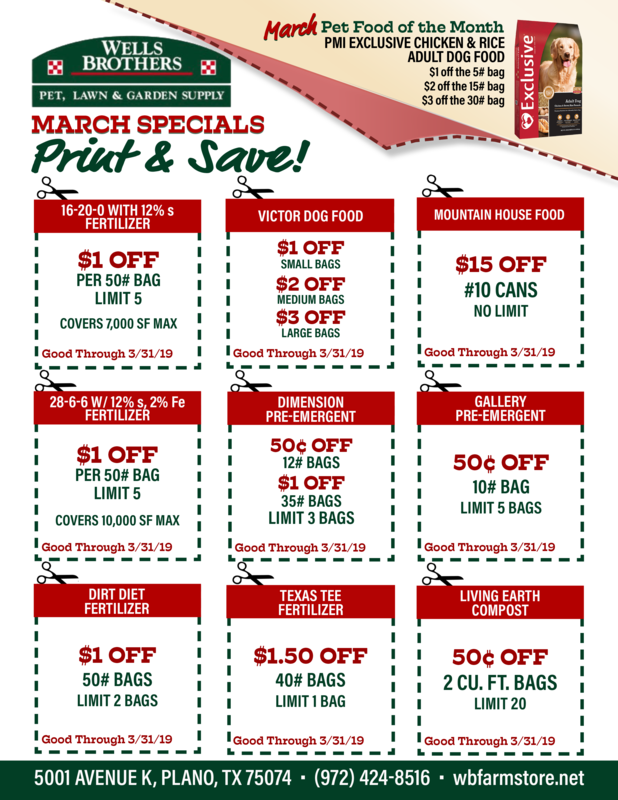 Flocktober is here at Wells Brothers Pet, Lawn & Garden Supply! Are your chicks growing? Once your chicks hit 18 weeks old or lay their first egg, it’s time to transition to Purina Layena poultry feed to sustain growth and promote egg production! 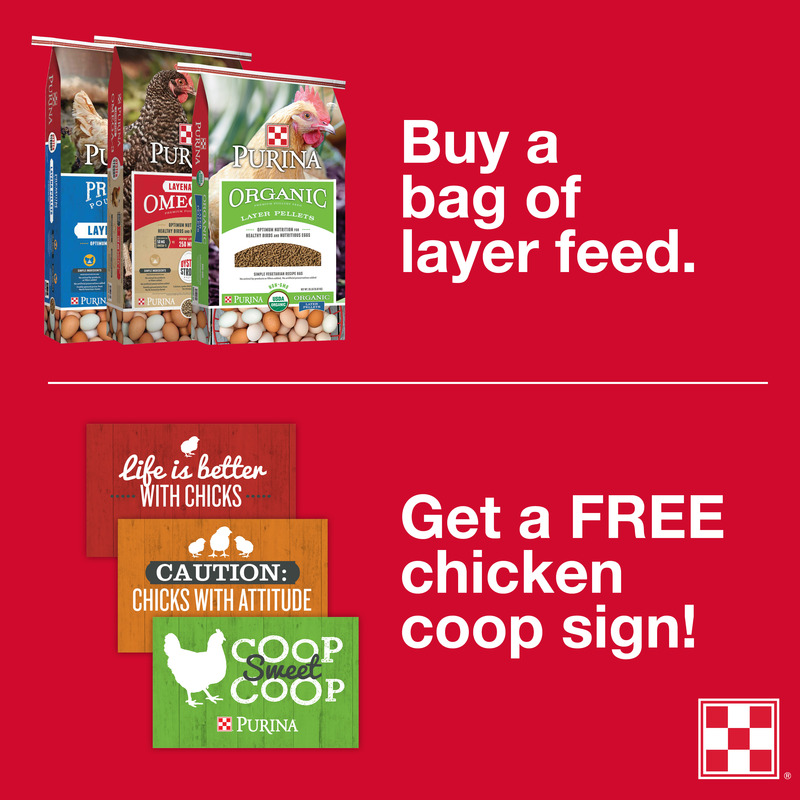 During the month of October, stop by Wells Brothers and get a FREE limited-edition coop sign, when you purchase a bag of Purina Layena or Layena Plus Omega-3 feed, 40lb bags or larger! 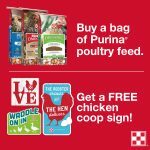 Stop by Wells Brothers Pet, Lawn & Garden this Flocktober for Purina Layena poultry feed and a free coop sign!